Going to the dentist doesn’t have to be a frightening experience. The best kid-friendly dentists in West Virginia want to help reduce the anxiety that children often face when visiting the dentist. By making a comfortable, friendly environment and having patience and a sense of humor, these dentists have established themselves as the very best. Family friendly dentistry is what Zambito Family Dentistry in Wheeling, West Virginia, is all about. Dr. Richard Zambito, a graduate of West Virginia University School of Dentistry is known as an expert in his field and has earned numerous certificates for work in laser dentistry, implant procedures, and facial esthetics. He brings his 36 years of work and dedication to families in the Wheeling area to promote healthy oral hygiene and put a smile on each face. Children of all shapes, sizes, and ages are the focus of Children’s Dentistry located in Charleston, West Virginia. Understanding that they are uniquely positioned to help children work toward a lifetime of oral health, the staff here works diligently to make each experience a positive one. Dr. Tracy L. Wilkerson is a full-service dentist, meaning that she uses the latest equipment, procedures, and techniques to resolve dental issues, all the while putting her young clients at ease. Wild about smiles is the motto for Teays Valley Pediatric Dentistry in Hurricane, West Virginia. With the goal of offering best dental care for kids in comfortable surroundings, the trio of doctors here brings their unique perspective and years of experience to help children have a pleasant visit. Drs. Patrick Martin, Nathan Kirk, II, and Eric Bailey go above and beyond to create the place where kids can be kids without fearing the dental experience. Creating fun and interactive surroundings is just one of the ways the Creative Pediatric Dentistry in Teays Valley, West Virginia works to help children want to come to the dentist. With membership in a number of local, state, and national boards, Dr. Elizabeth Pham-O’Dell uses her degree to provide excellent dental care to children. With a heart for children, Dr. Ernest N. Pennington seeks to bring a smile to all his patients, no matter their size or age. Whether applying necessary sealants to keep teeth healthy or teaching about good oral hygiene, Dr. Pennington gets rave reviews for his patience with his patients. No Cavity club for all of these sisters! You know you’ve found something special when you hear someone talking about their dental experience and using the word “good” in the same sentence. Both West Virginia natives, Drs. Melissa and Steve Warnick worked out of state and gaining experience that they eventually brought back to the Mountain State to share with others. Their partner, Dr. Todd Semder, joined the practice and believes the best part about his work is getting to know his patients. All 3 doctors work toward making a child’s first visit or tenth visit enjoyable and as comfortable as possible. Everyone at Smith Family Dentistry in Charleston, West Virginia, is dedicated to helping establish good oral hygiene habits. Preventing tooth decay and diagnosing potential issues before they become serious problems help save smiles. Dr. J. Christopher Smith and his partner, Dr. Richard Duff have been practicing dentistry for many years and bring their expertise to every patient, young and old. 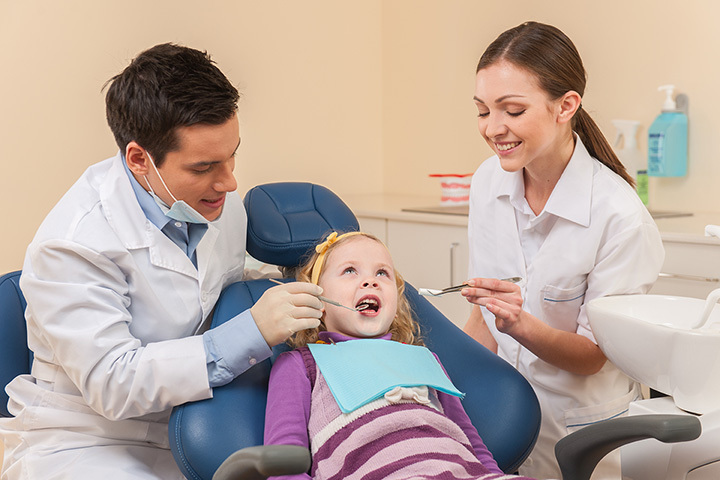 When children say they love their dentist, it is particularly noteworthy. That’s something that’s heard about Dr. Johnathon Hale and his team at Hale Family Dentistry in Oak Hill, West Virginia. Earning the respect and trust of his patients, Dr. Hale encourages good dental habits that will help ensure good health for life. Dr. Anthony Williams in Beckley, West Virginia, is devoted to helping children have a positive experience at the dentist and teaching about proper tooth and gum care. When you schedule your child’s first visit, he’ll examine their gums and teeth, evaluate habits like thumb sucking and determine if there are any issues that need addressed. A strong believer in preventive care, he and his staff will encourage daily brushing and regular visits. Everyone on the staff of All Smiles Dental in Clarksburg, West Virginia, believes in the vision that you should treat others the way you would like treated. From the moment you enter their office, you’ll be welcomed and helped to feel at ease. Dr. Roger Suter knew he wanted to be a dentist at a young age, and he worked hard to achieve that goal, becoming a recognized expert in many parts of the country. Dr. Tyler Patrick Brown shares the same vision, and recently joined the staff at All Smiles Dentistry, where he uses his abilities to reduce the stress and anxiety children often have when visiting the dentist.